In our article you will find everything about the TOTS 2016 FIFA 16 and about which players have made into the Team Of The Season 2016. - New player cards are introduced with the packs for the Team of the Season 2016, and that can be repeated. So it's quite possible that you will miss some of the best players. - You can expect new tournaments, for which you hold a special Ultimate Team as a prerequisite. But you get good bonuses and rewards. 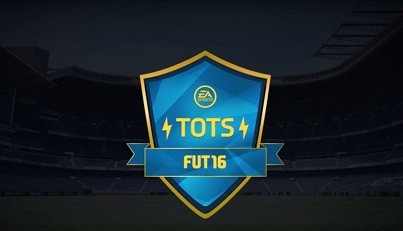 Here we list all the players who have made it to the 2016 TOTS. But don’t forget that trading in Ultimate Team FIFA 16 will deliver probably decent deals. The repetitive best players of Team of the Year 2016, probably end up as a bargain in the market.